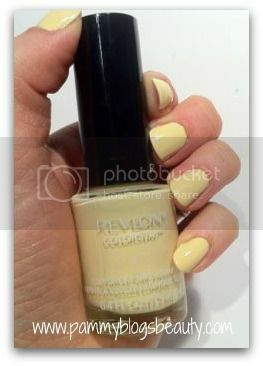 Pammy Blogs Beauty: Nail of the Day: Revlon Colorstay in "Buttercup"
Nail of the Day: Revlon Colorstay in "Buttercup"
I am sure I am "late to the party" with these new Revlon Colorstay Polishes. After admiring them every single time that I visit the drugstore, I finally decided to try them out! These polishes promise "11 day shatterproof wear". Now, I did not buy them thinking that I could actually go 11-days without needing to change my polish. I mean, if a polish lasts 3 days then I am pleased! 11 days sounds crazy-long! But, I would be happy with any polish lasting longer than 3 days. 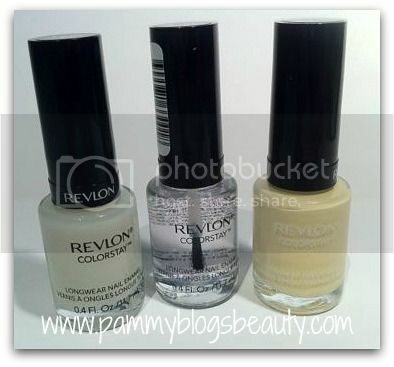 For best results, Revlon suggests using their Colorstay base and Colorstay top coat for extended wear. So, of course I picked those up too. Actually, I needed a new topcoat. Normally I use Seche Vite (which I totally love); but, I am almost out. So, I might as well try the Colorstay! This review and NOTD is for the Colorstay Longwearing Nail Enamel in Buttercup and the Revlon Colorstay Longwearing Nail Enamel Base Coat and Top Coat. 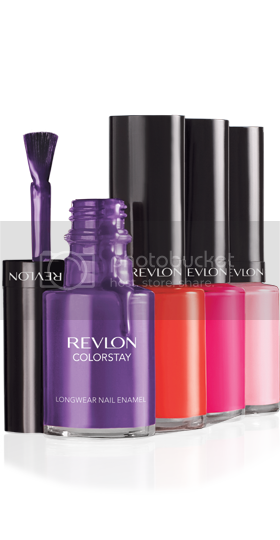 The new Revlon Colorstay polish selection is really amazing. They have a nice range of shades which include creme colors as well as some frosty/shimmery ones. Buttercup drew me in as it was a very nice yellow shade (and a shout out to Amarixe who always mentions it in her videos). I have such trouble with yellows. Most of them look just terrible with my skintone. How did I like Buttercup? Well, I think I am convinced that yellow polish just isn't for me. I admire this type of shade on other people. But, I think my skin is just too cool-toned for this polish. With that said, this is certainly the best yellow polish that I have ever tried. So, it is certainly not a favorite. But, the best yellow so far. WOW! These smell *strong*! But, they totally work!!! Not only does the Colorstay Base and Top Coat extend the wear of the Colorstay polish, but also it extends the wear of every polish that I have tried with it. As I mentioned above, anything beyond 3 days is extended wear to me. Now, I do get the usual "tip wear" (no chipping or peeling...just some soft signs of wear at the tips). After about a week, I usually just remove it as the finish is looking dull...but the polish is still going strong! I am quite amazed with the wear!!! I am not quite sure yet if the Revlon Colorstay Base and Top Coat will replace my beloved Seche Vite and my Nailtiques Formula 2 (that I use as a base coat). But, for longer wear, I don't think the Revlon combo can be beat!